PORT LOUIS, Jun 10 2014 (IPS) - While Mauritius has been forced to transform its sugar industry because of low prices for the commodity, the country’s small-scale sugarcane farmers who contribute to it say they are barely earning a living. Previously, Mauritius produced only raw sugar from the cane plant. Now it produces value-added refined and special sugar, electricity from bagasse, ethanol and will soon produce bio-plastics. “We are paid for the amount of sugar produced from our canes and some peanuts for the bagasse they use to produce electricity and nothing for the electricity which they sell to the national grid, or for our molasses or for the ethanol,” Jugessur Guirdharry, a farmer for the Union Park Cooperative Society, in the south of the island, told IPS. With the end of the Sugar Protocol in 2009, an agreement between the European Union and African, Caribbean and Pacific states since 1970 wherein the latter supplied sugar to the EU at a much higher price than was available on the world market, meant that this Indian island nation stopped receiving high prices for its sugar. Instead, Mauritius was producing sugar at 500 dollars a tonne but selling it at 433 dollars a tonne. To keep the industry alive, the government implemented drastic reforms. It centralised private sugar production factories and from the original 17 there are now four flexi-factories that crush cane, produce special and refined sugars, molasses, ethanol and renewable energy from bagasse — the fibrous pulp left over after cane is squeezed for its juice. Soon they will also produce bio-plastic. This island nation now produces 400,000 tonnes of special and refined sugars that are sold on markets in Europe from where they are sold directly to big EU firms. About 75 percent of the sugar produced in Mauritius is value-added refined and special sugar that is sold mainly in Italy, Spain, Greece, United Kingdom and Belgium while the rest is sold to a hundred clients in niche-markets in the United States and China. However, the 17,000 small-scale farmers contribute to about 28 percent of the national sugar production are not happy. They say it is very difficult to make a living out of cane cultivation only. Farmers complain of high production costs and costs of inputs like fertilisers, herbicides and manpower and transport. “If a farmer does not do part of the work in the fields himself, he’ll not be able to make his ends meet,” Guirdharry added. Without the contribution of farmers like him, this industry would not have survived, Issah Korreembux, a small-scale sugarcane farmer, told IPS. Indeed, the Mauritius Cane Industry Authority (MCIA) says that many smallholder farmers have abandoned between 5,000 to 6,000 hectares of land that had previously been sugar plantations. “If they are not given their due, more will do so because of lack of manpower, high costs of inputs and an ageing population among the farmers with the youth staying away from agriculture,” Sen Dabydoyal, a farmer and leader of the Médine Cooperative Society, in eastern Mauritius, told IPS. Guirdharry pointed out that by producing bagasse, small farmers contribute to the production of clean energy. “If we use coal only, the impact on the environment would be devastating. We are thus preventing the import of about 250,000 tonnes of coal annually,” he explained. Small-scale farmers like Dabydoyal are looking for other means to increase their income. About 5,000 of them have joined the fair-trade movement. They produced 21,000 tonnes of sugar under this label in 2013, which brought them an additional income of 60 dollars per tonne above the normal price of 530 dollars. Under this certification by an international firm FLO-CERT, the small-scale producers develop good agricultural practices, make good use of the soil, use less chemical products and follow an integrated management plan for pests and diseases to improve the crop. 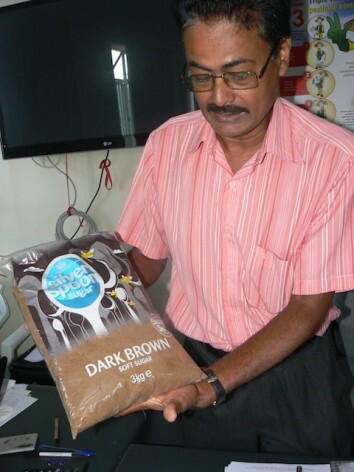 “This is a very good thing for small-scale farmers and we are encouraging all of them to join the movement,” Sooradehoo Punchu, president of the Mauritius Fair-trade Federation Cooperative Ltd, told IPS. “Today, these children have grown up and become professionals but have turned their back to the plantations,” Roy told IPS. Small and medium farmers have launched an Alliance of Sugar Cane Planters Association (ASPA) to defend their rights. Its leader Trilock Ujoodha says a revision of the distribution of cane revenue will solve many problems faced by small and medium producers, which includes among them the issue of abandoned land. Other farmers recalled that their income from sugar that represented 95 percent of their total revenue in the past stands today at 94 percent, despite the slump in local sugar prices. Mauritius has transformed its main product that is sugar cane into several valued added products. It’s not the end of the road yet, as this industry prepares to face another big challenge in two years’ time with the end of the sugar quota system in the EU scheduled for 2017. This will again lead to volatile prices of this commodity. “How far can we diversify our cane industry?” Dabydoyal asks.